After my first adventure in Isla Gigantes in Carles, Iloilo last year, I have the chance to go back there to experience the things that I missed in the island. 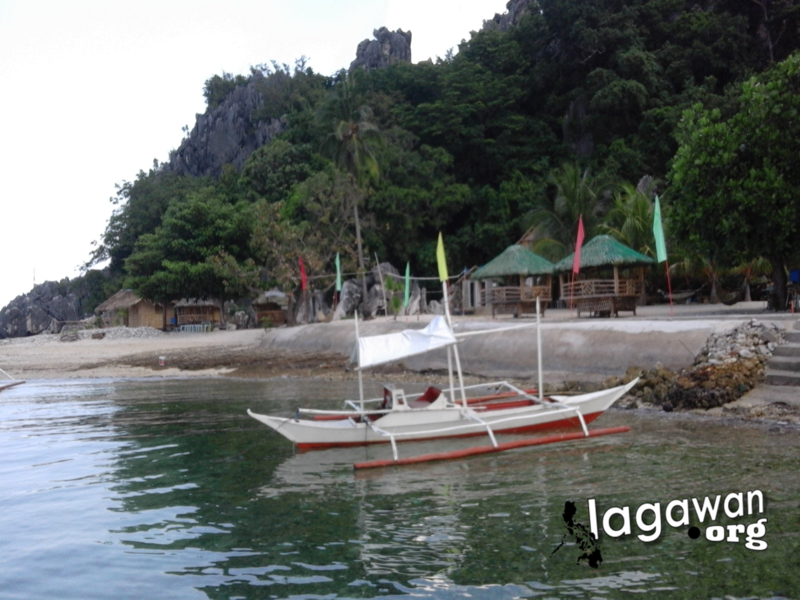 Isla Gigantes, also known as Isla de Gigantes or Gigantes Island, is located in the northern part of Panay. The island is part of Carles, Iloilo and famous for its prestine beaches, the Cabugao Island, and the sumptous scallops. Gigantes is a local word for Giants, thus the name of the island was coined for the belief of giants existing in the island a long time ago. One of our guides told me that remains of giants were found in the caves of the island. The main island has its component islets ideal for island hopping. The famous is the Cabugao Gamay Island which is the famous for its beauty that almost all the people who have been to gigantes have photos taken there. It is said that you have never been to Isla Gigantes if you have not taken a picture in Cabugao Island. The Cabugao Dako has also good beach front but not that popular. Another spot in Isla Gigantes is the Antonia Island which is perfect for snorkeling as this is the home of different species of fishes and coral reefs. This would be also good if you want to stay a night in a tent by the beach. The Tanke Lagoon in Isla Gigantes is also amazing. The lagoon is surrounded by high rocks and the water is also cool. The Isla Gigantes Sandbar is also amazing. The sandbar is around 30 meters in length and is perfect for swimming and picture taking. One secret island that was introduced to us is the Tanke Gamay which is a smaller lagoon. I went there alone with the guide. Its okay but by the time I went inside the lagoon, I pass through a small passage that is covered by water during high tide. The Isla Gigantes Lighthouse that guides boats and ships at night is also a spot. The old house by the lighthouse has been renovated and will be turned into a cafe. This development as an initiative of the Isla Gigantes Lighthouse Keepers Association. They opened as a small store with a few items last April 25. Isla Gigantes has also awesome caves. There were a total of five major caves in the island. The famous cave and the only cave I have visited so far is the Bakwitan Cave. Bakwit is a local term for evacuate which suggests that this cave was used to be the evacuation center of the locals during typhoons and even during war in Japanese regime. For my second time visiting the island and being with a couple of resorts where I stay there, I am very delightful and very satisfied with Benny’s Bed and Breakfast Eco-lodge. They have the best service ever and have also received good feedbacks about their excellent accomodation based on their Facebook page. Benny’s Bed and Breakfast Eco-lodge is one of the many resorts and cottages in Isla Gigantes. It is consist of three cottages of different sizes — one good for two, the other one is good for four and the other is good for ten. If you are a good camper and wanted to stay in a tent, they have also a big tent that you can stay while you are there at a cheaper price. Or better yet, bring your own tent. The place is also the home of the Bantay Dagat and the rescue group of Isla Gigantes making it safer than the rest of the resorts. They also offer courses like basic to advance Water Survival lessons, scuba diving, and emergency preparedness. One unique thing about staying in Benny’s Bed and Breakfast Eco-lodge is its people. They are very friendly and accommodating. They will assist you with whatever concerns you have regarding your stay in the island. The food they served is also great. I have satisfied my craving with seafoods. You will love both the crabs and the scallops. Since the island’s specialty are scallops, you can tell them if how do you want your scallops to be served. They have dogs by the way. But they are the coolest dogs ever. They recognize their guest and also shows respect with them. As a matter of fact, those dogs also assist guests by securing our baggage while we may be busy taking pictures. From Iloilo City, you can take a Ceres Liner Bus or an L300 van going to the Estancia, Iloilo City which would normally take up to 4 hours. From Estancia, you can take a passenger boat which is scheduled at 9AM and 2PM daily. You can also rent a chartered boat that would range from P5000-P6000 which would include island hopping. Our boat service was really best. The captain also served as our guide as well as our photographer. He was so nice and has a gift for photography. Manong Nonoy Magallanes-Alonzo is a local of Isla Gigantes. His primary means of living is through driving boats. It happend though that because there were four of us and he knew the place very well, he also served as our photographer. He has good shots and knows where to angle the camera and where the subject should position.